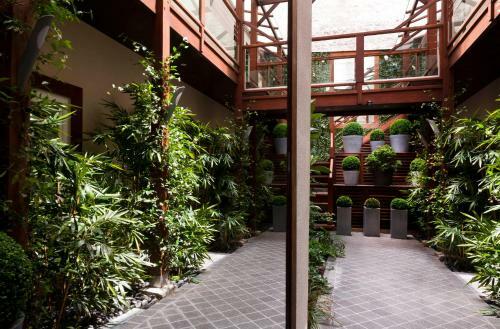 Located in the 17th district of Paris this hotel is a 1-minute walk from Pereire Metro Station and only an 11-minute walk from Parc Monceau. 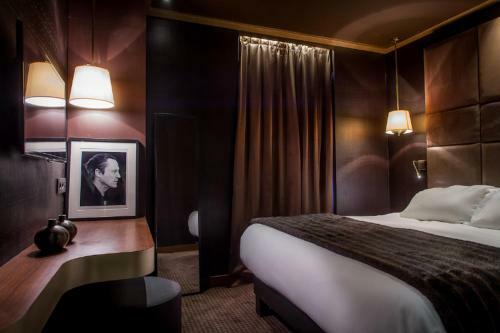 With a 24-hour reception it offers modern accommodation just a 15-minute walk from the Arc de Triomphe and the Champs Elysees. 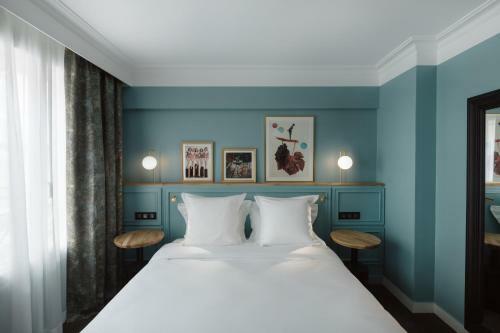 All of the rooms at Hôtel Prony have a safety deposit box flat-screen TV with satellite channels a telephone and a minibar. Each also includes a private bathroom with a hairdryer. 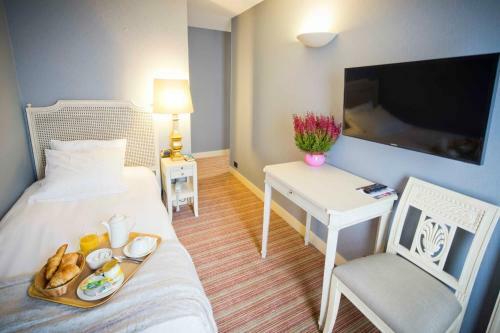 Free Wi-Fi luggage storage and free newspapers are also provided at Hôtel Prony.